OFENT (Observatory of Spanish Fiction and New Technologies) is dedicated to the analysis of the production, programming and reception of the contents of the fiction and its extension to the Web 2.0. 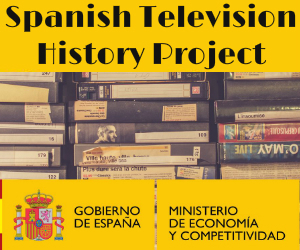 The Observatory constitutes a platform for the exploration of new methodological proposals, integrated in the Sociosemiotic analysis of the feedback between the television fiction and the cultural context where the programs are produced and consumed. – To explore the construction of social identities in the new transmedia narratives (youth, gender, immigration, etc.). – To promote the development of young researchers, through carrying out different projects and doctoral theses based on the theoretical methodologies proposed by the OFENT. – To contribute to the dissemination of knowledge through the observation and analysis of media and cultural phenomenon, examined in reference to the cultural context in which they are generated and fed. In a complementary way, the OFENT also explores the construction of the political identity through the Web 2.0.